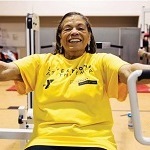 The YMCA of Metropolitan Milwaukee is proud to offer a variety of Active Older Adult programs, including water exercise, stretching classes and Silver Sneakers, all of which are designed to promote fitness and well-being while fostering friendships and camaraderie. 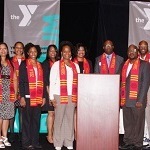 The YMCA Achievers program is a national academic achievement/career development initiative for high school youth of color. The program pairs youth with successful adult achievers of color who, through volunteer service, serve as mentors, providing educational and career guidance. At the Y, we strive to bring families closer together, encourage good health and foster connections through fitness, sports and shared interests. The Y offers various fun and educational activities and events that families can participate in together. The YMCA of Metropolitan Milwaukee offers the guidance, motivation and instruction you need to achieve your health and fitness goals. We offer state-of-the-art equipment, personal training, wellness challenge programs, and much more. FREE with membership. From Y-Cycle to TRX, we have something for every interest and fitness level. Our experienced instructors will help you have fun and get healthy while you gain strength, endurance, and energy. The YMCA of Metropolitan Milwaukee offers a variety of gymnastics and dance classes for children of all ages and abilities. From parent/child classes, to preschool, to youth beginner and advanced level classes, find the perfect fit for your gymnast or dancer. Programs offered at the Y go beyond physical activity to focus on activities that enhance overall health and well-being. We want to help you learn strategies for successful and sustained behavior change in a positive, supportive and accepting small group environment. 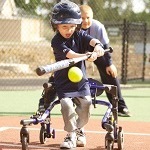 Miracle League allows all children to play organized baseball, regardless of ability. Special-needs kids dress in uniforms, make plays in the field and round the bases, just like their peers in standard little leagues. 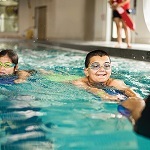 The YMCA of Metropolitan Milwaukee offers year-round certifications and trainings such as Lifeguard Certification, First Aid and Babysitter Training. Our certifications and trainings are taught by certified instructors in Red Cross, American Safety and Health Institute (ASHI), and YMCA Lifeguard and Swim Instruction. 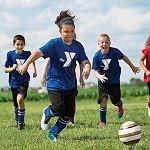 The Y offers sports and leagues for youth and adults. Classes such as basketball, volleyball and soccer help children develop fundamental skills and incorporate teamwork through instructional play. 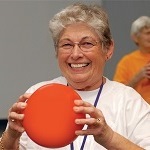 Our basketball and pickleball leagues provide adults with the opportunity to be active and social. The YMCA of Metropolitan Milwaukee offers a variety of aquatics classes for all ages and abilities. Whether you’re just learning how to swim, improving your strokes, swimming competitively or taking water exercise classes, you’re in safe hands with our certified swimming instructors and lifeguards.